There’s a question that seems to come up every winter. And every year, since Babfar was founded in 1969, our answer has been the same. Customers ask about using heaters inside an enclosure. (Please visit our blog post Do You Prefer the Fuel Efficiency of a Direct-Fired Heater or the Safety of an Indirect-Fired Heater? What if You Could Have Both? to learn more about the different types of heaters). Renting temporary heating equipment on a monthly basis to save money is like gambling with Mother Nature. If we have a short winter, heater rental costs will be low. If we have a long winter, costs will be high. But, how can you predict the weather? 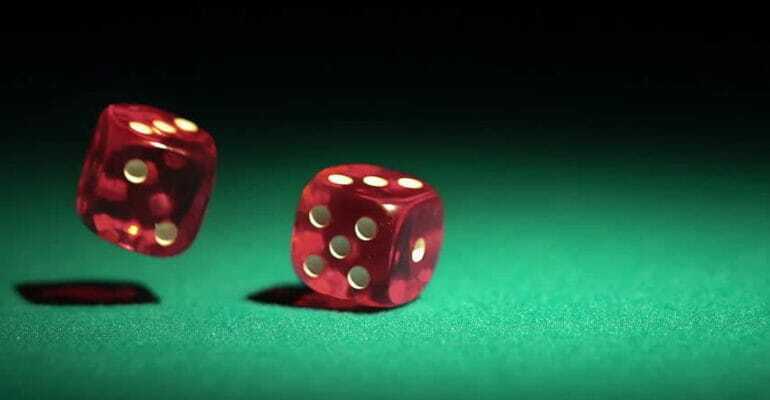 Babfar customers never have to roll the dice because they rent temporary heaters by the season. The rental fee for all sizes of propane and natural gas heaters is capped after three consecutive months. Steam, hot water, and oil heaters have a five-month cap. Once the cap is reached, customers can keep the units as long as they need them. It’s springtime! 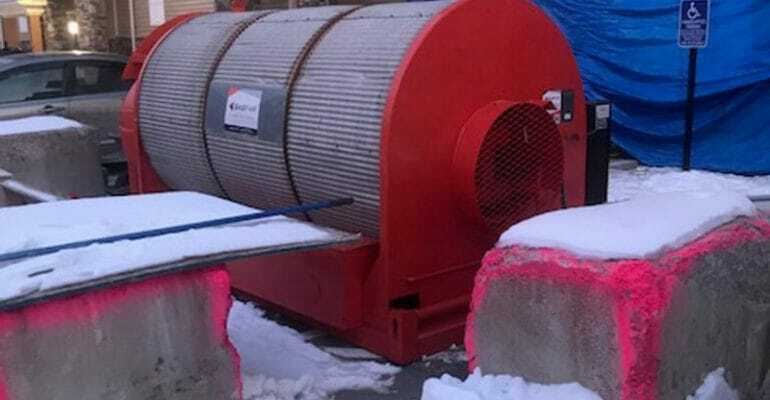 Though winter recently ended, contractors have already started shopping for temporary heating units for next winter. Typically, shopping involves collecting and comparing rental quotes from different vendors. But, rental costs only represent the cost of getting temporary heating units on site. 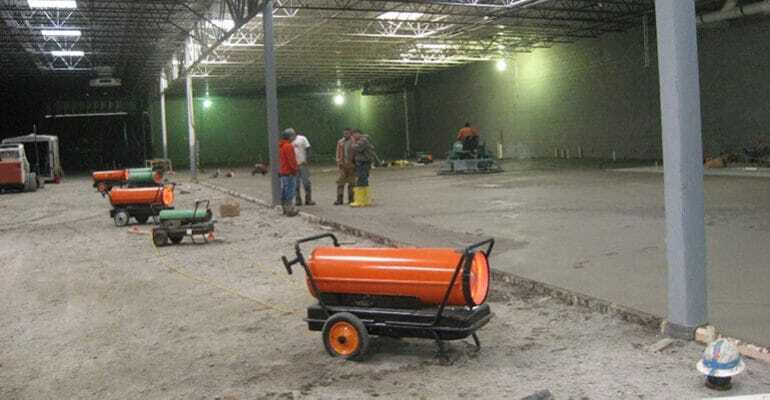 Contractors may also find that “low-cost” temporary heater rentals cost more in the long run. For a true cost comparison, contractors should consider costs that occur during the entire rental period, which can represent 85% to 90% of total costs! 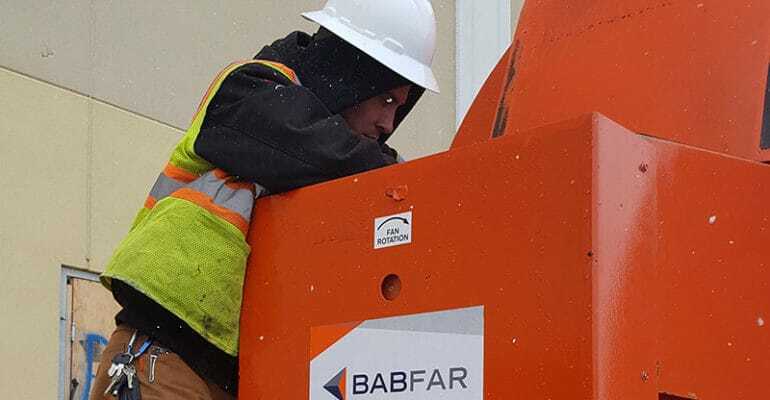 This past winter was the first time Katz Group used Babfar temporary heating units. The developer needed large units to heat a three-story, 15,000 ft2 building in Portsmouth, NH. As with all projects, Babfar calculated the heating requirements, sized units, and planned airflow to heat the entire building effectively.